Design Your BC App Before You Code! 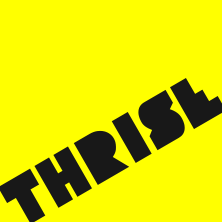 Thrise, founded by Scott B Reynolds, is a BC App Store Training Partner specializing in Business Catalyst app development. Scott is a Business Catalyst partner advisory board member, an Adobe Community Professional, and a BC Sandpile organizer. He often presents on topics ranging from responsive web design to advanced Business Catalyst integration. This is a free download and is free to use in your free or comercial BC App projects.